The long lost library of Charles Dickens will be on show in Rochester next weekend 2nd and 3rd of June. 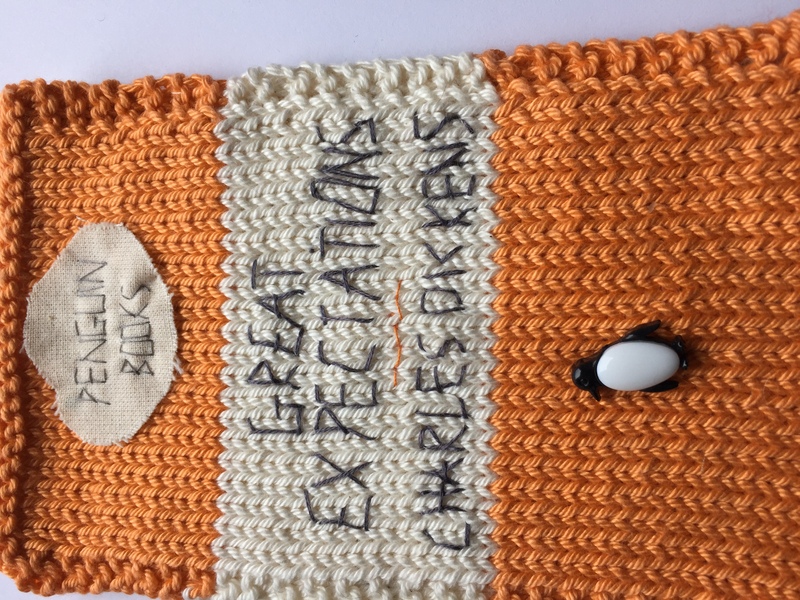 This will be a unique opportunity to view the collection of found books, books made by book artists and also Charles Dickens very own make believe books. This is one of a series of knitted postcards. The Charles Dickens library will be at the Rochester Dickens Festival on 2nd and 3rd June. The library will be on display in the Castle Gardens area! This is a new post about the Charles Dickens Library.